Coral Springs is a city of more than 120,000 residents located in Broward County. The master-planned development has grown quickly over the last 30 years, adding an average of 35,000 per decade since the 1970s. 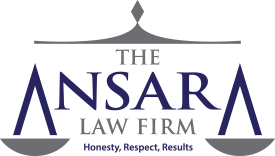 Those charged with DUI in Coral Springs can turn to The Ansara Law Firm About 40,000 motorists a year are arrested on a drunk driving charge. Criminal penalties can include steep fines, jail time and loss of your driver’s license. Job loss is also a frequent cost of conviction. In fact, the Florida Department of Highway Safety and Motor Vehicles reports cost of a DUI conviction can approach $20,000. Fighting a drunk driving charge is always the best option. A reduction or dismissal of the charges if often possible, particularly for a first-offense DUI charge. Jail time, job loss, mandatory treatment, fines, probation and the loss of your driver’s license are common penalties for those convicted of drunk driving. And the tiered nature of the state’s driving laws means a subsequent charge carries the real threat of jail time and a lengthy driver’s license suspension. Consulting an experienced Coral Springs DUI defense attorney is your best first step. The Florida Department of Law Enforcement reports only about half of those charged with drunk driving are convicted of the charge during any given year. Still, about 2,000 drivers are convicted of DUI in Broward County every year – or about 5 a day! As a Coral Springs defense lawyer experienced in handling domestic violence cases, Richard Ansara understands the disruption caused by such allegations. Today’s zero-tolerance policy by law enforcement means, when police respond to a call, someone is probably going to jail. Such cases often involve divorce or child custody disputes, or come at the end of a relationship when emotions are raw. Yet failure to defend yourself can have serious consequences, including job loss. An injunction for protection against domestic violence could even prevent you from returning home or visiting your children. And a conviction may prevent you from owning firearms or working in certain professions. Coral Springs juvenile defense is another area of the law where particular care must be taken to protect the rights and future of the defendant. Drug charges, assault and theft-related charges are common among teens. Seeking experienced legal representation is vital to protecting the rights of a young person charged with a crime. At The Ansara Law Firm we believe in a one-on-one approach to representing clients. Each client will be represented by Attorney Ansara from acceptance to resolution. We are dedicated to explaining your rights to you at each stage of the legal process, and to exploring all options for the best possible resolution of your case.